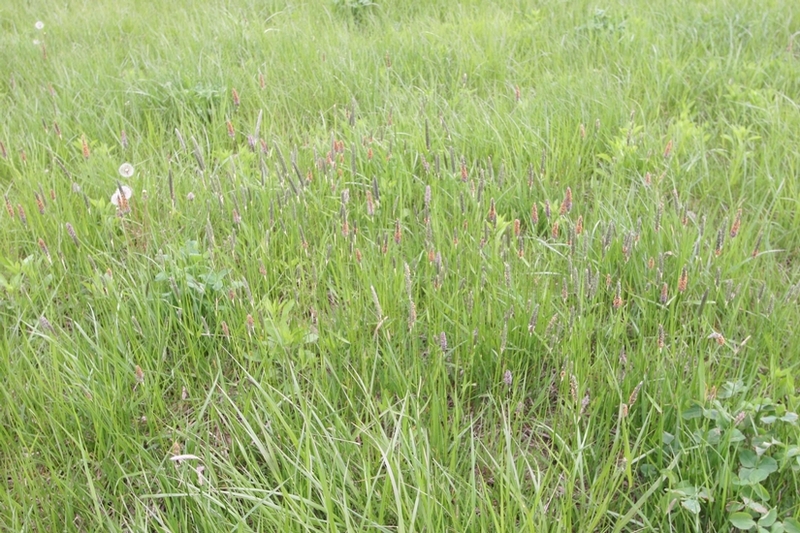 A tufted cool-season perennial grass with short rhizomes and stolons. 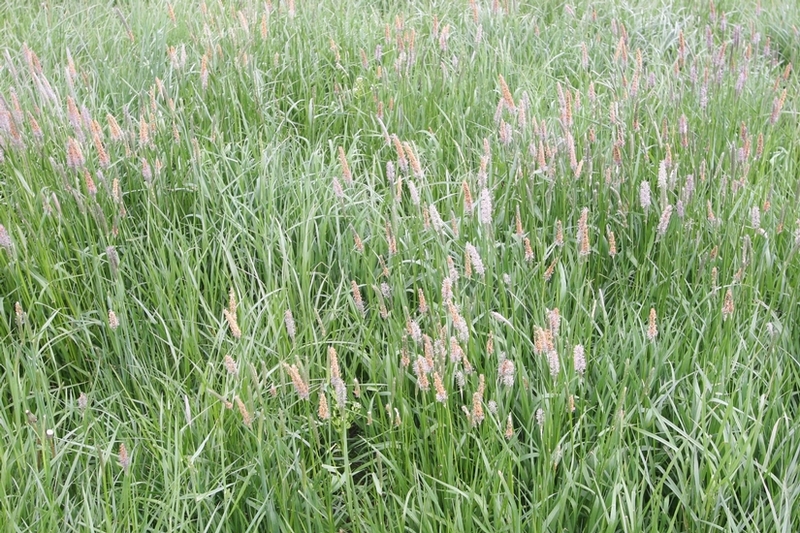 Meadow foxtail is frequently cultivated for hay and also found growing from a moist, deep, fertile soil in cool temperate climates. 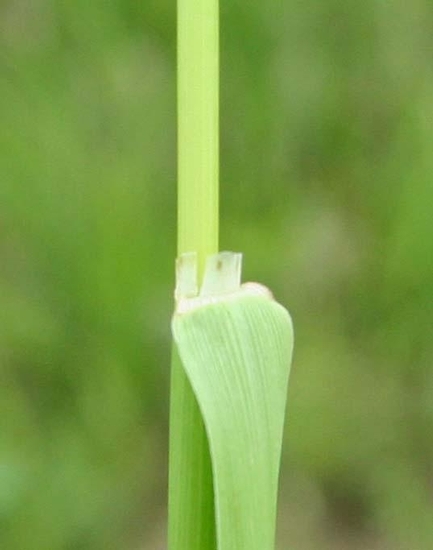 Leaf blades measure 10 inches in length, 10mm in width, and the farther up on the stem leaf widths tend to decrease. On upper leafs, margins are slightly sawtoothed and greener. Meadow foxtail has a membranous ligule that is 1-3mm in length and leaves are rolled in the bud. Light to medium green, hollow, hairless, and stiffly erect. Each stem has about 4 leaves that are alternate and usually located on the lower two-thirds of the culm. Are hairless, dull green or blue-green, and longitudinally veined. Seedheads are densely packed with spikes and severely flattened. Their is usually one floret per spikelet. Glumes are membranous and pubescent with long stiff hairs on the keeel. Fibrous root system with short rhizomes. 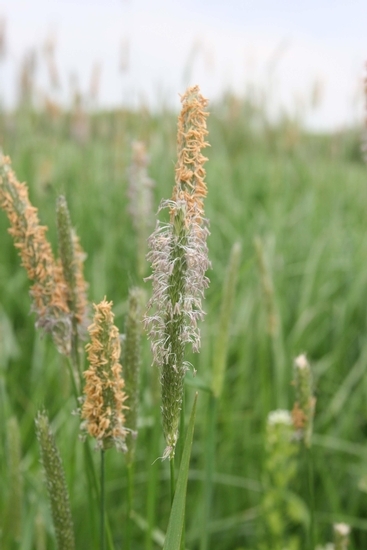 Meadow foxtail is easily mistaken for other grass species like timothy, but blooms a couple weeks earlier, has a cylinderical inflorescence with a silky texture, and a single awn originating from the lemma. Leaves decrease in width at the uppermost portion of the stem and have slightly sawtoothed margins.